There are two recently released apps being used in the 2019 NNMN Basic Training Course that are exceptional field guides. But they also have significant tool sets for identifying species. And yes, they both use “keys” toward identifying a species. Appealing, of course, are both apps portability and update-ability to include new photographs, data, range info or further refinements to the “keys.” Both of the apps are available for iPhones or Android devices. The FLORA OF VIRGINIA PROJECT (www.floraofvirginia.org) presents the complete app for learning about the plants of Virginia, whether a wildflower from a weedy roadside, a shrub from a coastal dune, or a tree from a deep Appalachian hollow. The app does not need an Internet connection to run, so you can use it no matter how remote your wanderings take you.” The app is based on its predecessor, the FLORA OF VIRGINIA book published by the Flora of Virginia Project in partnership with the Virginia Department of Conservation and Recreation. The App describes nearly 3,200 plant species native to or naturalized in Virginia. The app combines information from several other ecological data sets including moisture regime, light regime, level of invasiveness, state and global rareness rankings, and listings as rare or endangered. Emphasis of this app is on habitats, ecological earmarks of natives. It has a graphic key as well as the full dichotomous key from the Flora of Virginia book in app form. The use of simple keys for aiding in the identification of birds is growing. 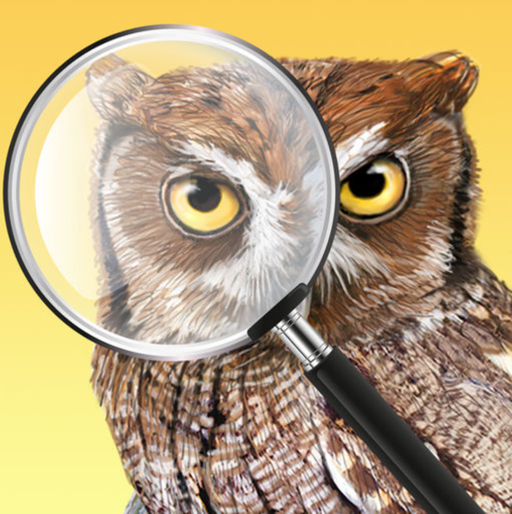 Cornell Lab of Ornithology’s Merlin app’s “Bird ID” feature is one of the more prominent examples. Underlying the key is the user getting location data from one’s smart phone. Now there is an advanced app with a key for ornithology: iBird Pro. Relevant and detailed info in the form of pictures, drawings, range maps, ecology, facts, field marks, eggs and nests, and a great collection of sounds. The collection of features accessible to both advanced and novice birders is impressive and may obviate the need to lug a field guide around. In-app purchases for iBird Pro – Photo Sleuth, Smart Search, and Birds Around Me provide additional tools that make full use of your phone, camera, and in some cases apply artificial intelligence to help with IDs. The search feature “key” has 36 attributes to help you get to the correct ID. Additionally it is easy to use and fast. In the end iBird Pro is a great tool and a portable tool for the field. The speed, accuracy, and tool set in iBird Pro are a great help in supporting Citizen Science Projects related to birds and habitats such as the Virginia Breeding Bird Atlas2 and for refining birding skills.